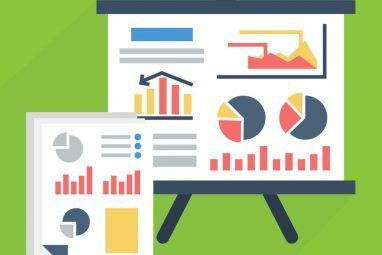 Here’s everything you need to know about making your charts attractive and engaging in Excel 2016. 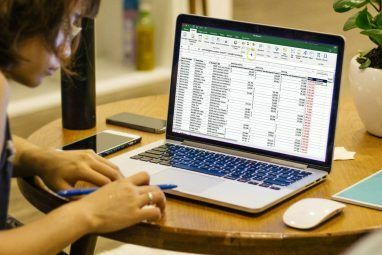 Just about everyone knows how to make a basic chart in Excel 8 Types of Excel Charts and Graphs and When to Use Them 8 Types of Excel Charts and Graphs and When to Use Them Graphics are easier to grasp than text and numbers. Charts are a great way to visualize numbers. We show you how to create charts in Microsoft Excel and when to best use what kind. Read More — but making it look good requires a bit of extra knowledge. You can make use of a bevy of different customization options pertaining to all elements of your graph; the text, the data being represented, and the background it’s laid over to name just a few. 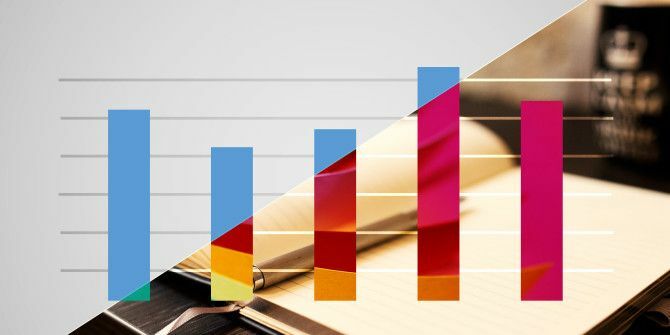 Once you know how to tinker with various different elements, you’ll be able to create charts that are visually distinctive and aesthetically arresting. Knowing how is half the battle; the rest is down to your own creativity. Before we can take on the task of formatting, we need to create the basic chart in Excel. To do this, open up the spreadsheet that contains your data, highlight it and head to Insert > Charts. Choose the appropriate visualization for your data and continue through the wizard. This is the bar chart that I’m going to use as a base — it’s rather plain right now, but we’ll soon add some visual appeal. Don’t worry if you’re using a different type of chart: the techniques listed in this guide will carry over to any other kind of graph you might make in Excel. Excel’s default typeface is versatile and easy to read, but it’s a little bland. Choosing your own font allows you to take control of an important element of your chart’s appearance, which will have a big impact on its overall look. You can change which typeface is used 14 Fonts That Are Perfect for Greeting Cards & Posters 14 Fonts That Are Perfect for Greeting Cards & Posters Thinking of making your own greeting cards and posters but having trouble making them look great? A better font might be the answer -- and these are all FREE and FANTASTIC. Read More for various different elements of your chart by highlighting individual pieces of text and selecting a font in the Ribbon. However, you might want to keep the font consistent across the entirety of your visualization. To do this, right-click the chart and select Font. The resulting menu will allow you to make all manner of edits to the appearance of your text, but keep in mind that these tweaks will affect everything on the chart. For this reason, avoid making any extreme changes to font size — it’s likely to throw off the balance between the title and any labels on the chart itself. This minor change to the font is already helping to distinguish our chart from the default — but there are plenty of other ways that we can tweak the text. Our font has been changed for the better, but our title could still use work. To ensure that it really stands out, we’re going to remove the plain text title and replace it with some WordArt. To get started, click on the text box containing your title and press DELETE. Once you’ve done this, you might need to resize your chart to leave some room for your new title. Now we can insert our WordArt. First, make sure that you have the chart selected, then head to Insert > Text > WordArt and select something appropriate. There are a couple of things to be aware of when you’re using WordArt for a title. Make sure that it’s not too gaudy — whatever your audience, a chart should still be informative first and foremost. Your title should also be properly weighted against the other elements of your chart because there’s no point in having an enormous title if it makes the content of the graph too small to read properly. Now that our title is in place, it’s time to think about some other areas of the chart. Our Y axis is pretty easy to understand because it’s comprised of amounts of money at regular intervals. However, our X axis lists the names of individual Indiana Jones movies, so it would be beneficial for them to be as legible as possible How to Style Fonts in Microsoft Word to Make Your Text Stand Out How to Style Fonts in Microsoft Word to Make Your Text Stand Out A well formatted text can grab your reader's attention and help them flow through your document. We show you how to add that final touch in Microsoft Word. Read More . To make sure readers can differentiate between the different columns at a glance, we’ll use a shadow effect to give these labels some extra visual impact. Double-click on the text box containing labels to access the Format Axis sidebar. This menu contains all kinds of ways to customize your chart, but we’re looking for a shadow. To find it, we need to navigate to Text Options > Text Effects > Shadow. From there, you can either fine-tune your shadow or simply use one of the presets. Adding a splash of color is a great way to liven up a dull chart — but too much color can be a problem in its own right. Stick to themes if you’re not confident about your choice of colors, and otherwise make sure not to overload your document with different hues and shades. 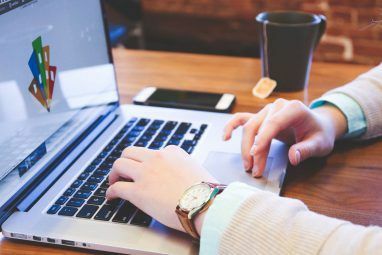 A theme simplifies the process of giving your document a cohesive color scheme How to Change the Command Prompt Colors in Windows How to Change the Command Prompt Colors in Windows The Command Prompt in Windows is black by default, but it doesn't have to be! Read More by narrowing your choices down to a range of pre-made palettes. To access these themes, click on your chart and then click the paintbrush icon that appears at the top right-hand corner. Switch to the Color section of the menu and you’ll see the list of color schemes available to you. Depending on the type of chart you’re making, these will be used across different elements — for instance, the bars on our bar chart are currently all the same color, the different sections of a pie chart would each be colored with a different selection from the theme. If you know exactly which colors you want to use for individual elements of the chart, you can skip the theme and start fine-tuning. Double-click on a particular element to bring up the Formatting sidebar. You have lots of different options here, but you can get good results simply by choosing different colors. To do so, navigate to Fill & Line and ensure that Solid fill is selected in the radio menu. Then, just select your desired shade via the Color dropdown. While a solid fill produces a solid color, a gradient fill is a blend of two or more shades How Much Does Color Matter in Design? More Than You Think How Much Does Color Matter in Design? More Than You Think Read More . This can be a very attractive effect, but to make sure that it doesn’t have a negative impact on legibility, we’ll apply the same fill to all of our columns. To make this selection, double-click one column and then use the Series Options dropdown in the sidebar to select the entire series. Now that we have all data points selected, we can start designing our fill. Using one or more gradient stops, we can create a blend of colors to fill our columns. While we could use a premade option to save time, I’ve created my own gradient to fit the theme of my chart. While I’m at it, I’ll add a border using the same menu. I used the Solid line option, and changed the line’s Width to 1 pt, to ensure that it was visible over the background I’m going to add in the next step. To really change up the appearance of your chart, you can add a picture as the background. However, if you’re going to do this, it’s best to select an image that doesn’t have too much detail, so it doesn’t distract from your data. Cropping the picture down to the proper dimensions in a program like Gimp or Photoshop GIMP vs Photoshop: Which One Is Right for You? GIMP vs Photoshop: Which One Is Right for You? Photoshop is the most popular image editing app out there and GIMP is the best free alternative to it. Which should you use? Read More is a good idea, too. Once you’re ready, double-click on the background of your chart. Then, navigate to the Fill section of the formatting sidebar and select Picture or texture fill. Use the File button and navigate to your desired image. Unfortunately, our background has made the labels on the Y axis of our chart rather difficult to read. We can fix this by altering the transparency of the background image, so it doesn’t dominate the graph quite so much. I’ll raise the Transparency value to 50%, although this figure will obviously change depending on your image. Make sure that all elements of the chart are clearly visible. Our chart is ready to be published, but there are a couple of additions that could be useful in certain circumstances. Data labels make it even easier to digest the information on your chart at a glance. To add them, click on your chart, then click on the plus sign icon, and tick the Data Labels checkbox. If you want to fine-tune these labels, just edit the text in the same way that we did for the axes. A trendline is another potentially useful addition to your chart. You add it just like the data labels; open up the plus sign menu and tick Trendline. Of course, this doesn’t really fit in with what we already have set up. Double-click the trendline to open up a formatting menu in the sidebar — again, my design is intended to fit the theme of my chart, so consider what might work well with your data. There’s one final way to tinker with our trendline — and it’s of particular interest to anyone currently studying math The 20 Websites You Need to Learn Math Step by Step The 20 Websites You Need to Learn Math Step by Step We have compiled the best sites for each level so that you can learn systematically, gain a better grasp of math one level at a time, and have fun! Read More . Head to the Trendline Options setting of the formatting sidebar we used earlier to change the formula being used to calculate the line. Most of us won’t need to worry about this element of our chart in such great detail — but certain professors will accept nothing less than a perfect polynomial trendline. It doesn’t take long to customize your chart in Excel. Given the variety of formatting tools available, it’s easy to transform the most basic visualization into something that’s tailored to your requirements. Take some time to think about the theming of your chart before you start editing. If you make decisions without a decent idea of your end goal, you’re less likely to end up with a cohesive visualization. Microsoft Office offers up plenty of ways to personalize your chart, but don’t feel pressured to use them all. Come up with an idea Brainstorming with Others Doesn't Have to be Hard Brainstorming with Others Doesn't Have to be Hard Read More , and consider which tools you can use to execute it. Before you know it, you’ll have an illustration that doesn’t look a thing like the standard Excel chart. Do you have any tips on formatting charts that you’re eager to share with other readers? Or are you looking for help with a particular problem relating to Excel charts? Why not join the conversation in the comments section below? Explore more about: Graphic Design, Microsoft Excel, Microsoft Office 2016. That is a truly hideous result! !